Wesley Medical Centre, 40 Chasely St, Auchenflower. The Wesley Hospital, Chermside Day Hospital. Dr Coughlin underwent 2 years of fellowship training in robotic prostatectomy in the United States under the guidance of Dr Vipul Patel – the world leader in robotic prostatectomy. In 2009 Dr Coughlin returned to Brisbane,Queensland and commenced Robotic Surgery programs at the Royal Brisbane Hospital and the Wesley Hospital. Dr Coughlin has an operative experience in excess of 1500 robotic prostatectomies. He co-authored the first Australian series of robotic partial nephrectomy (removal of kidney tumour with preservation of the kidney) and presented the first Australian series of Robotic Radical Cystectomy. 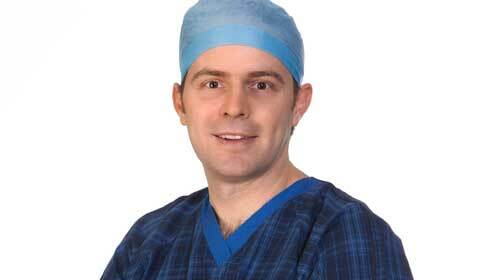 In 2006 Dr Coughlin underwent fellowship training in laparoscopic surgery at St George’s NHS trust in London. Dr Coughlin completed his medical degree at the University of QLD in 1998. He trained in Urology in QLD and was awarded his fellowship from the Royal Australasian College of Surgeons in January 2007. Dr Coughlin is a charter member of the Society of Robotic Surgery being recognised as one of the leading robotic surgeons in the world. Dr Coughlin has published many peer reviewed journal articles and book chapters on prostate cancer and robotic surgery. In 2008 he was conferred the title of Assistant Professor in Urology by the University of Central Florida. He is a senior lecturer at the University of Queensland. Dr Coughlin was awarded the best video at the 2008 European Robotic Urology Symposium for his work titled”Techniques in Nerve Sparing during Robotic Prostatectomy”. Dr Coughlin is on the editorial board of the Journal of Robotic Surgery and a reviewer for the Journal of Endourology and the British Journal of Urology International. Dr Coughlin is a visting medical officer at the Wesley Hospital and also has a significant public commitment at the Royal Brisbane Hospital.